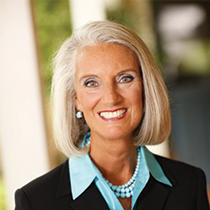 In order to pray effectively for Jerusalem, Anne Graham Lotz shares the pattern of prayer that the Prophet Daniel used long ago. As the 2014 National Day of Prayer honorary chair, I have seriously wondered if we quote 2 Chronicles 7:14 without following through in focused prayer. This is the passage that has the wonderful promise: “If my people, who are called by my name, will humble themselves and pray and seek my face and turn from their wicked ways, then I will hear from heaven and I will forgive their sin and will heal their land” (NIV). I feel deeply convicted that it’s time to stop talking. It’s time to pray. This promise that we so often quote as applying to American believers was originally given to King Solomon to claim on behalf of Israel, God’s people. So, 3,000 years after that promise was first given, as the Islamic extremists tighten their noose around His land, as terrorists bombard Israel with missiles, as enemies threaten God’s people with annihilation once again, it’s time to pray. Not just for ourselves, but for Jerusalem and all that she symbolizes. In order to pray effectively for Jerusalem, I have used as a pattern the prayer that the Prophet Daniel prayed long ago. Although Daniel was more than 80 years of age and still living in Babylonian captivity when he poured out his heart to God on behalf of His people, his prayer was exceedingly effective as it moved Heaven in a dramatic way. As you study this passage, feel free to also apply it, not just to Jerusalem, but to our own nation, to yourself and to Christ-followers throughout the world. Note: In this Bible study, Jerusalem is used to symbolize the Jews, the nation of Israel, and God’s people. Based on the following verses, describe the Babylonians: Genesis 10:8-10, 11:1-9 and 2 Kings 24:20-25:10. Understanding that Daniel and God’s people were held in captivity in Babylon, describe some of the problems they faced. What are some of the problems being faced by Jerusalem today? Why should problems compel us to pray? See Exodus 3:9-10 and 2 Chronicles 7:13-14. On what was Daniel’s prayer based? How does this apply to your own prayer life? List the promises Daniel claimed from Jeremiah 25:12 and 29:10-15. Read Deuteronomy 28. What are some of the promises, commands and warnings that could be applied to Jerusalem? What do you learn from Daniel’s example as an old man in Daniel 9:1-2? When do you pray for Jerusalem? Read Psalm 122. Give phrases that tell us how to pray for Jerusalem, and why we should. What do you think praying for the peace of Jerusalem really means? Read Isaiah 9:6; Luke 2:14, 25-32; Acts 10:34-39; Colossians 3:15; Zechariah 14:1-9; and Micah 4:1-4. Every morning at 7:14 a.m. and every evening at 7:14 p.m., would you take a moment and pray for the peace of Jerusalem? In order “to turn to the Lord,” what do you think Daniel had to turn from? Read Daniel 9:3. Relate this to Matthew 6:6; Luke 5:16, 6:12 and 9:18. From Matthew 6:16-18, what word did Jesus use that indicates fasting is not optional for you and me? What do you learn from Elijah’s example of fasting in 1 Kings 17:1-3, 18:41-45 and James 5:16-18? If fasting is going without anything and everything in order to make the time to get alone with God in prayer, how does this help your focus? Who did Daniel say he turned to? How does Hebrews 11:6 say we are to approach God? What phrases from the following verses reveal Daniel’s confidence in God’s character? Daniel 9:4, 7, 9, 15. If you can, link each characteristic of God to a past event in Israel’s history. How does God’s demonstration of power and greatness in the past encourage your faith at present? When you pray, what is the basis for your expectancy that God will hear and answer? What other prerequisite for confidence in prayer does Hebrews 10:19-23 suggest? Explain how you know you meet the New Testament prerequisite. What basic problem of God’s people did Daniel address in Daniel 9:5 and 8-11? Give specific phrases. How did this problem affect their relationship with God? Read Daniel 9:6-8. How did this affect their national security? Read Daniel 9:12-14. How did this affect their relationship with other nations? Read Daniel 9:16. Apply each of the above four answers to Jerusalem today. Count the personal pronouns Daniel used in 9:4-16. Are they singular or plural? How is this similar to Ezra’s prayer for God’s people in Ezra 9:6-15? From Ezra 9:5, 10:1 and Daniel 9:3, give the phrases that reveal the attitude of the one praying. What does this teach you and me about how to pray for Jerusalem? List the phrases that specify exactly what Daniel is asking God to do in Daniel 9:16-19. What fundamental reason does Daniel give God for answering his prayer in Daniel 9:19? Read the following verses and explain how the glory of God’s name is entwined with Jerusalem: 2 Samuel 5:5-12; Psalm 135:21; Isaiah 31:5; 1 Kings 11:36, 14:21; and Revelation 21:1-3, 10-11. Write out your specific requests for Jerusalem, based on the above references and Daniel’s prayer. How long did it take Daniel to receive confirmation that his prayer had been heard? Read Daniel 9:20-21. Do you think Daniel would have received insight into the condition of God’s people had he not prayed? Read Daniel 9:20-22. When was Daniel’s prayer answered? Read Daniel 9:23. When did Daniel actually receive the specific answer to his specific requests? Read Ezra 1:1-5. Do you think God’s people would have been delivered from their enemies and restored to God’s place of blessing if Daniel had not prayed for them? See James 4:2 and Jeremiah 10:21.